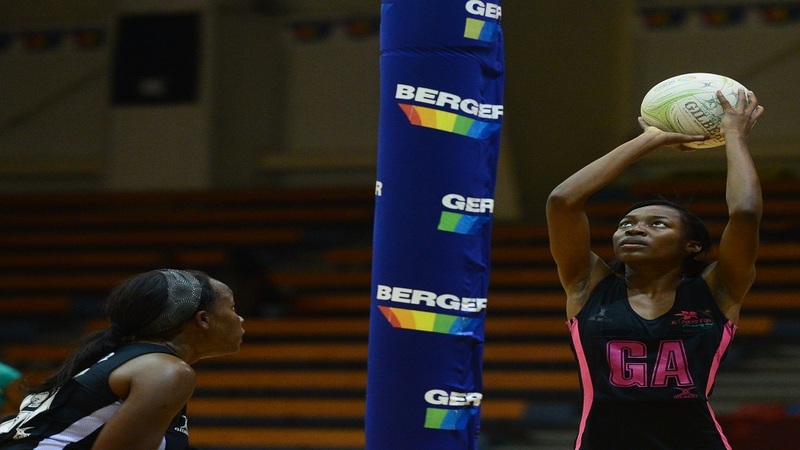 Shanice Beckford of Kingston Hummingbirds shoots ahead of Shanika Johnson of Manchester Spurs during Game 1 of their best-of-three finals in the Berger Elite League on Monday, January 21, 2018. 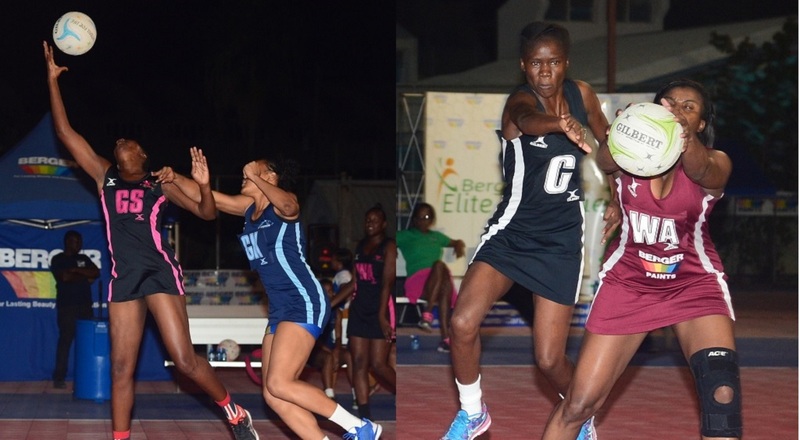 Kingston Hummingbirds will be looking to close out their best-of-three finals series against Manchester Spurs, when both play Game Two of Netball Jamaica’s Berger Elite League (BEL) at the National Indoor Sports Centre on Wednesday, beginning at 7:00 p.m.
Kingston Hummingbirds won Game One of the finals 58-49 on Monday night to set themselves on course to winning the championship for the third straight time. Goal shooter Sabrina Spence led the scoring for the defending champions, with 38 goals from 40 tries. Shanice Beckford was also in fine form, scoring 20 goals from 23 tries. Manchester Spurs’ goals were scored by Gezelle Allison, who got 23 of 27 tries, Anna Kay Griffiths, 22 from 33 and Nicole Dixon, four from nine. The Hummingbirds led 14-10, 28-25 and 41-38 at the end of the first three quarters and Winston Nevers, the team’s head coach, noted things they will be working to maintain in the championship showdown. “First I want to say congrats to the Manchester Spurs team, they really played well. They pushed us to the limit,” said Nevers. “We executed well, we were patient with the ball, our concentration was high and then we put it inside the circle because we have two top shooters, Shanice Beckford and Sabrina Spence, they really played well today. And I must say thanks to the defensive area because there’s where we won the game, those interceptions, because we played close to whoever’s receiving the ball,” added Nevers, who is seeking his first BEL title as a coach. At one point it was the Spurs who looked likely to win their third match-up, when they blasted out of the blocks at the start of the third quarter to score five unanswered goals and take a 40-38 lead. However, the Hummingbirds, which throughout the season have appeared capable of finding that extra gear when needed, transformed their game with solid defending and attacking through the court in a tough, physical battle. Connie Francis, Manchester Spurs’ head coach, reasoned that her team needs to be more consistent, particularly in their transition from mid court to attack; and she also believes the officiating went against her team. “We lost our way in spurts of the game because we had good runs, fantastic runs, but we missed crucial shots. We didn’t take care of the ball as we’d have liked and the officiating is not good and at this stage I’ve to talk about it because it’s happening too often to our team. We worked so hard to get here and how I’m feeling now, it’s like why should our team even turn up for the next one,” argued Francis. Besides consistency, Francis says her team needs to be tougher mentally to get even. “I think some of our girls they need to put the outside elements outside of the game … you have to be able to play above whatever is happening and make adjustments. I thought that we did not make adjustments as we’d have liked to,” said Francis. 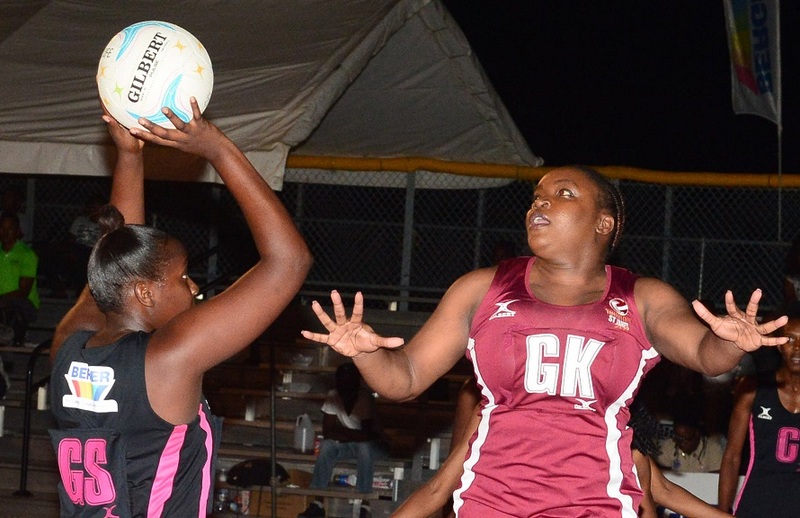 Meanwhile, Clarendon Gaters, the team that was fast gaining form towards the end of the preliminaries, won the third place play-off 49-38 against St Ann Orchids. The Gaters trailed 9-11, 23-24 at the end of the first two quarters, but picked up steam to blow away their rivals over the final half. The untried combination of Petal Smith and Danielle Masters accounted for all Clarendon Gaters’ goals, with Smith scoring 26 from 34 attempts and Masters converting 23 of 41 tries. For St Ann Orchids, Simone Gordon led the scoring with 17 from 21 attempts, Thristina Harwood netted 15 of 20 and Rebekah Robinson six of nine.